South Korean steelmaker Hyundai Steel’s labor union conducted outreach activities to help underprivileged families and support children from those families to experience a variety of cultural activities. According to the company, the labor union visited Gyeongju Bird Park with 18 children from underprivileged and multicultural families as part of the labor union’s Union Social Responsibility program. 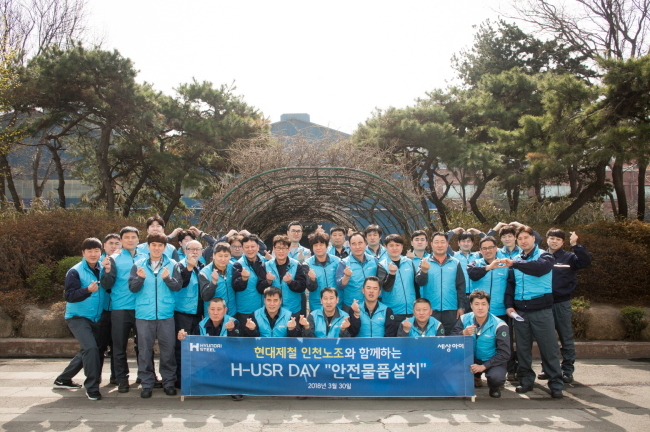 December 2016, the labor union has been conducting volunteer activities each month. Activities include repairing mosquito nets on windows and installation of safety handles and mats at homes in the summer. In the winter, the union provides fire prevention goods and changes lights at the families’ home to light-emitting diodes to help them save electricity. The labor union has been staging such activities globally since 2015. This year, some 30 members of the labor union visited the Philippines’ Lope de Vega village to conduct volunteer activities.